With car leasing we do get a lot of questions in relation to how it works and what is included as standard. This article is designed to answer some of the more common questions that are asked to aid you in making the right decision when entering into a finance agreement. It is not a definitive list of answers and if you cant see the answer to the question that you want answered let us know and one of our car leasing experts will be delighted to assist you with your question. Do I have to collect the car? At the start of the contract the car is delivered to your door for free. We deliver across England, Wales and Scotland. If you are based in Northern Ireland we can deliver as far as the English side port (Liverpool or Stranraer) and you would have to meet the driver at the port to ferry back to Northern Ireland. As standard deliveries are driven to your door. At additional cost we can arrange for a transported delivery. What happens if I am over mileage? With all of our quotations we will let you know the excess mileage cost on the car. The value varies from car to car, mileage and length of contract. All prices of excess mileage are quoted in Pence Per Mile (PPM). So if we quoted you 6 pence per mile it would cost you £60 per 1,000 miles over the total contract mileage. Needless to say if you are only a little bit over the mileage the excess mileage charges are not too great. It is always best to really consider the mileage you will do and factor in any potential future mileage changes to ensure you do not have to pay too large a fee. With business leases and some leases it is sometimes possible to extend your mileage whilst in contract. This does vary between finance companies as not all offer this service but is worth calling your finance company to request a quotation or discussing with us to organise. Finance companies would usually expect you to have run the contract for 6 months before you can alter the mileage and towards the end of the contract would not be able to make any changes either. The initial payment is variable. In most cases we can quote between 1 and 12 payments in advance, so you could potentially opt for an equal monthly payments agreement wherby the initial payment is the same as the monthly rental. In most cases you will find the total amount payable is the same with whichever initial payment you take. If you want a variation on a quotation you can see online request a revised price with an initial payment that you are comfortable with. The initial payment is part of the payment for the car and not a refundable deposit. Except in rare occasions on high value cars we do not take deposits on cars. We do have stock specials and most manufacturers carry cars in stock for delivery within 3-4 weeks but this does vary massively. The factory order time frames also range from 6 weeks to 6 months dependant on manufacturer and where the vehicles are built. The New VW Polo is built in South Africa and carries a large lead time for a factory order, but VW as a manufacturer tend to build cars in advance to combat this. Land Rover tend to have a 3-4 month factory order time with limited stock readily available. Audi at the time of writing this article are 12 weeks on most Audi A4 and A6 models. If you need something from stock talk to us in the first instance as we will be able to assist you in advising which models are coming through soonest. Can I change my car during the contract? 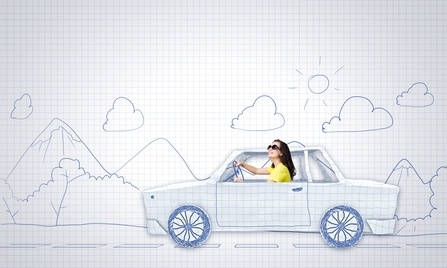 When leasing a car it is always worth considering your future needs. If you foresee any changing circumstances that may effect what you need it is worth looking to see if the car you want will suit the needs throughout the contract length. Typically to contract out of a car you will need to pay half of any outstanding rentals to give the car back early. So if you have one year left on your contract you would need to pay 6 payments to hand the car back early. This is rule of thumb and is always worth checking with your finance company for an exact early termination fee but some finance companies do charge larger fees. We also get asked if you can swap your car during the contract. Sadly even if you stay with the same finance company you would need to contract out of the old car and pay any early termination fees prior to going onto a new contract. Shorter contracts are better for people who think that there may be changes on the horizon as you will limit your risk in early termination fees. What is a Non Maintained and Maintained contract? As standard all quotes on the website are based on non maintained contracts. The Non Maintained contract includes delivery to your door (as far as the English side port for Northern Ireland), is taxed throughout the contract and collected at contract end. All cars are new and have a minimum of 3 year warranty and 1 years breakdown cover. You would have to pay for servicing costs, replacement tyres and generally maintain the vehicle to a good standard. If you add a maintenance contract to the price you move onto a Maintained contract. With maintained contracts you get everything a non maintained contract has but also get all servicing included (Parts and labour), replacement tyres on a fair wear policy and breakdown cover in all subsequent years of the contract. There are some exclusions on some manufacturer maintenance schemes that do not include tyres but we would advise you this in advance. The most enjoyable contract is fully maintained as your costs are fixed throughout the contract and don’t have any surprises when servicing and tyre costs start to be incurred. Maintenance packages are completely optional though. Will I be charged large fees for damage at contract end? Everybody worries about the hand back of their car and potential damage re charges. You do have protection though as all finance companies adhere to BVRLA conditions (British Vehicle Rental and Leasing Association). Included in their guidelines are acceptable conditions for wear and tear of a vehicle. For example some stone chips on the bonnet would be deemed acceptable, very small shopping trolley dents that have not pierced the paint would be acceptable. With major damage you would need to put the car through your insurer for repair. We can send you a copy of hand back guidelines which are updates annually by email. If you have any doubt talk to one of our trained advisors that can put your mind at ease. Finance companies expect the cars to come back as used cars commensurate with their age, they are not expecting fresh out the box brand new condition. If we have not covered the question you had or require further information get in touch and we will gladly answer any of your questions. We revisit these frequently asked questions all of the time and will have further articles during the year with additional points of interest.